As we revel in the resplendence of Mt. Apo, let us not forget that we have a responsibility to preserve this treasure for the future generations. The Center for Outdoor Ethics suggests the Leave No Trace Seven Principles for every outdoor enthusiast. The said set of principles teaches people how to enjoy nature responsibly, setting a guide on how to make sound decisions in order to protect our natural world. Confucius said, “Success depends upon previous preparation, and without such preparation there is sure to be failure”. Other than an unsuccessful climb, failure to prepare also results to reckless actions that may, in turn, damage the area and cause harm on the climber. Arm yourself with knowledge on how to avoid or deal with possible snags. Durable surfaces are trails and campsites that previous climbers have tried and tested. To avoid further damaging the land, keep within those established routes and spaces. Always remember the old camping adage “Great campsites are found, not made” and avoid altering the pristine terrain. It’s quite simple: pack it in, pack it out. Reduce litter at its source by carefully planning your climb routine. Do not leave left over food, wastewater, and trash that may potentially upset the ecological health of the area. Use small amounts of biodegradable soap if needed and keep at least 200m away from lakes or streams to avoid contamination. Bring a trowel to create catholes for depositing solid human waste. Appreciate, don’t separate. Preserve the naturalness of the mountain. Resist the urge to pick up rocks, plants, and other natural objects as souvenirs. Take pictures or record videos instead. The best fire and light sources are the ones you can take away with you, virtually leaving no trace or damage to the area. It is recommended to use lightweight camp stoves and portable lamps to lessen the impact our presence makes on the backcountry. Observe, don’t disturb. Startling endemic creatures may cause them to flee and leave their preferred habitat, sometimes abandoning their young. Remember that it’s their territory and you’re a just visitor. Tempting as it may seem, feeding animals is a definite no as it may affect their health and natural behavior making them susceptible to predators and other dangers. Stay to the right, pass on the left. Practice respect and courtesy towards fellow climbers. Avoid making disruptive noises or playing loud music and let the sound of nature prevail. Make it a pleasant and transcendental experience for everyone. Think that’s a lot to take in? Are the preparations alone leaving you stumped? Fret not. 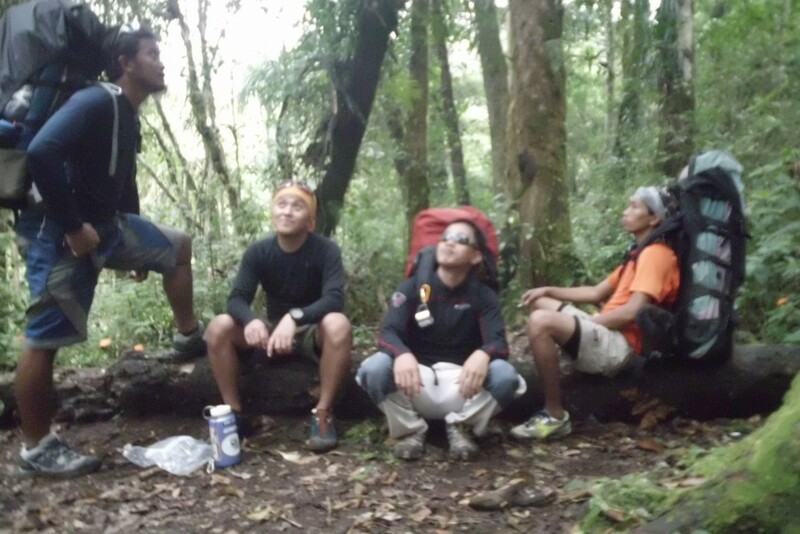 Visit www.discovermtapo.com and find out how to have a conscientious yet hassle-free adventure.